"The Guardian ad Litem program needs more people to sign up to befriend abused and neglected boys and girls while their cases go through court. Program Director Marcia Hilty said the circuit hopes to gain more guardians ad litem." 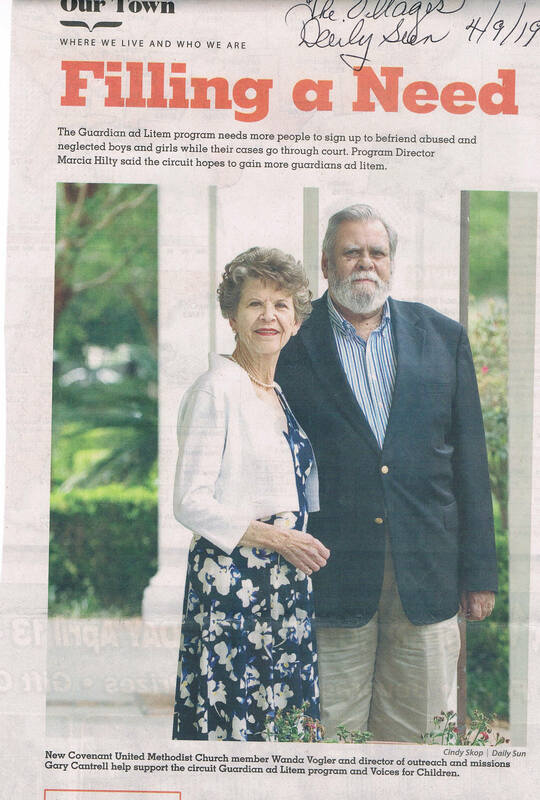 "New Covenant Methodist Church member Wanda Vogler and director of outreach and missions Gary Cantrell help support the circuit Guardian ad Litem program and Voices for Children."